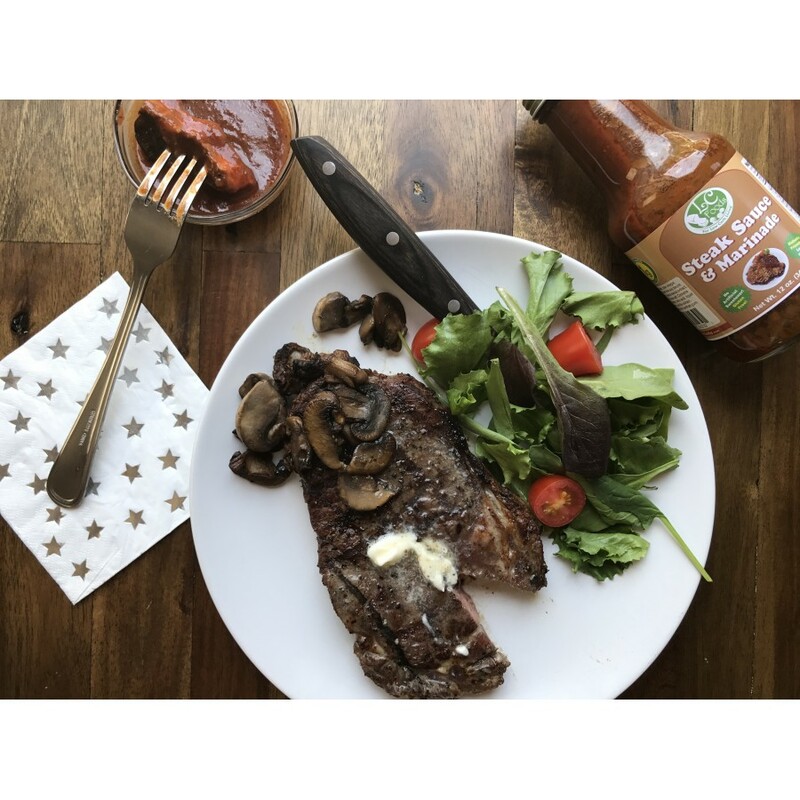 Low carb steak sauce with 1 net carb per tablespoon. Tastes great! Gluten free! 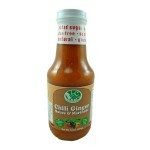 Enjoy on your favorite steak as a topping after cooking or as a marinade before. 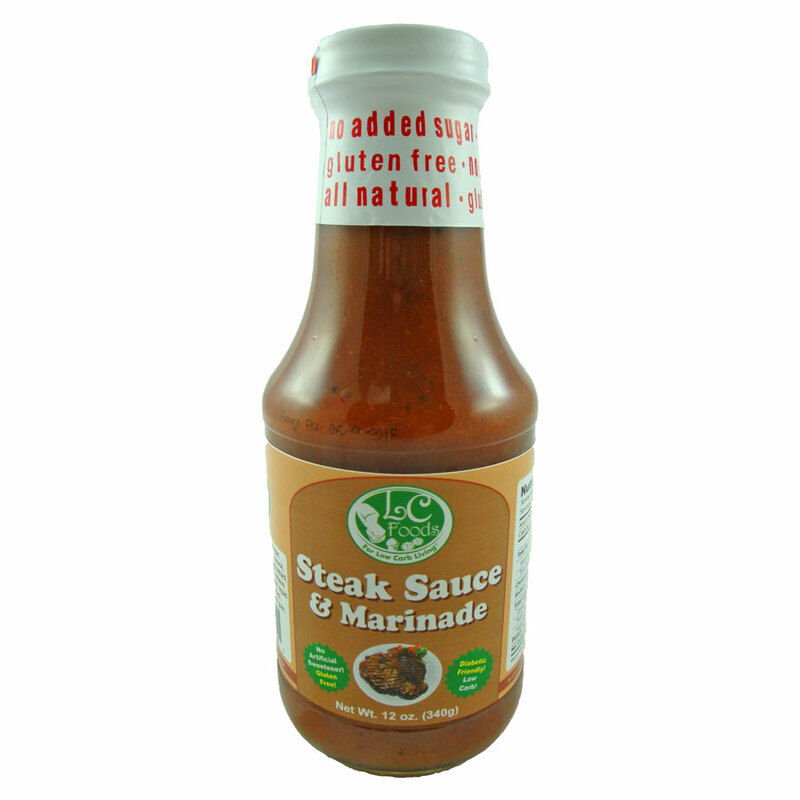 Tastes more like Heinz 57 than A1 Steak Sauce, and without all the carbs! 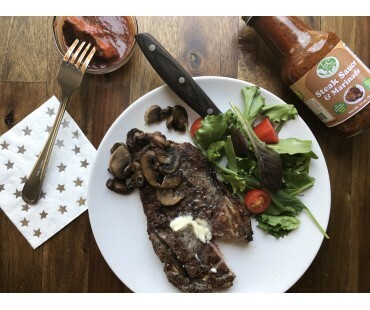 Sure to become your new favorite low carb steak sauce! Low carb never tasted so good! 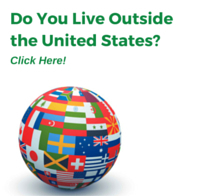 **Cultured dextrose is a food additive used to inhibit the growth of undesirable bacteria and mold in foods. Often used in place of other preservatives or stabilizers like sodium or potassium benzoate and sodium or potassium sorbate, it is considered to be a more "natural" ingredient, because it is prepared by the fermentation of milk by a probiotic bacteria Propionibacterium freudenreichii and Lactococcus lactis, both of which are extensively used in the production of cheese. Cultured dextrose is used in a wide range of foods including dairy products, salad dressings, and baked goods. Good steak sauce, has a little bite, I like it. I have missed being able to have steak sauce. 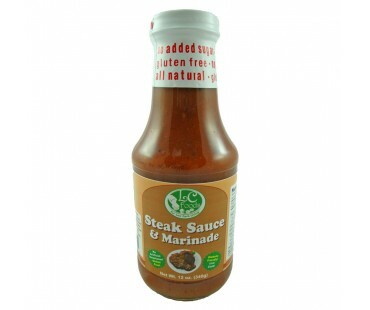 This low carb steak sauce is very good, however, the only problem I have is that it's a bit too spicy to truly enjoy. I'm not a fan of spicy condiments. I'll give this product 5 stars if it were much more milder.